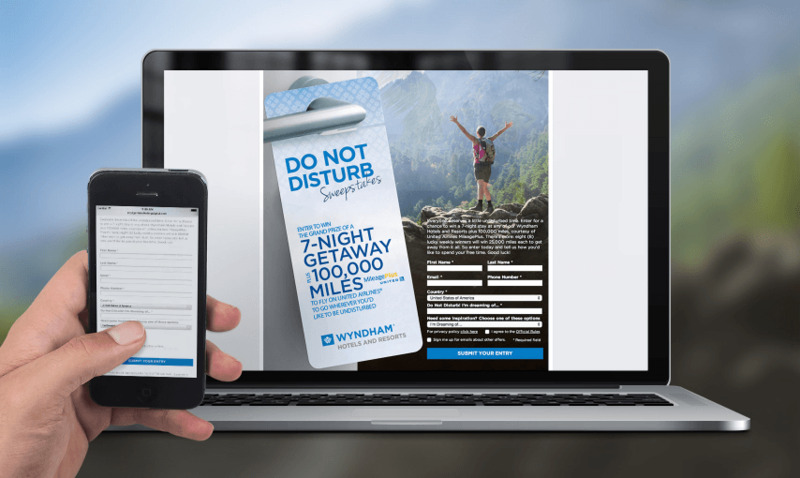 The good people over at Wyndham Hotels & Resorts wanted to reach out to their fans on Facebook and offer them a chance to win a 7-Night Getaway PLUS 100,000 miles on flights (sponsored by United Airlines). 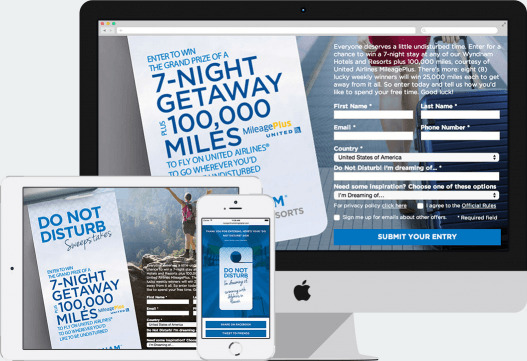 To facilitate this, we created a sweepstakes application for them. We ask the user a simple question: “Do Not Disturb, I’m dreaming of ... “ — Users can type in their answer, or select one from the available templates. 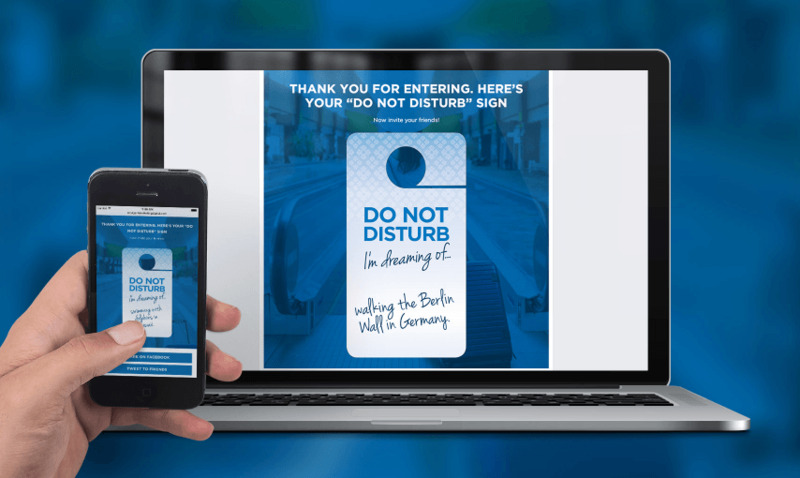 We then generate a custom Do Not Disturb sign for them which they can place on their Facebook profiles. This also enters them into the sweepstake. 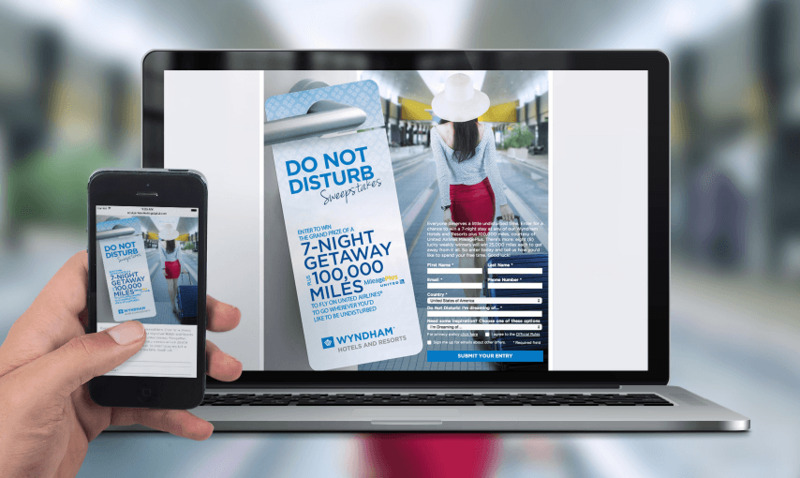 The application has generated a great deal of buzz since launching last week and continues to gain traction in the form of new Likes to the Wyndham Hotels & Resorts Facebook Page and sign-ups to their newsletter and offers via sweepstakes entries.